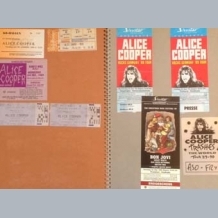 A very good original circa 1986-91 scrapbook containing ; 26 concert tickets / 8 Photo & After Show Passes / 3 original stage money notes / 5 guitar plectrums / numerous postcards, magazine clippings, fan club items and photos AND a large fold-out Hot Metal Mag Poster signed in gold ink by Alice Cooper. PLUS various other items relating to tour support acts and a fully signed photo by the band Great White. An interesting record for a fan or the book could be broken up and its pieces used for various displays. 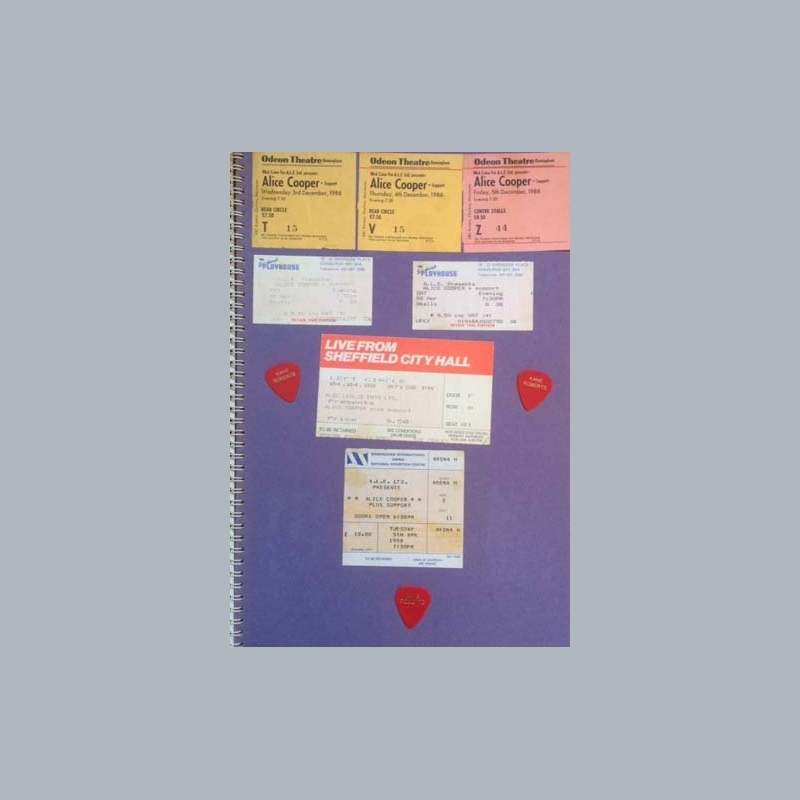 The collector of this book clearly followed the group around between 1986-1991 accumulating all these concert tickets and passes. 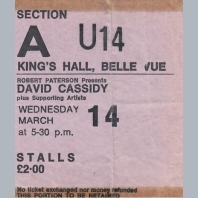 The concert tickets are from Birmingham / Edinburgh / Sheffield / London / Newcastle / Manchester / Holland / Belfast / Germany. 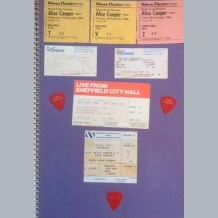 The passes mainly relate to the Trashes World Tour (1989-90). Average-Good. View Images. 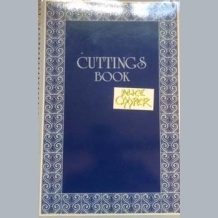 Images only show a selection of the pages. An original Alice Cooper Concert Ticket Stub (Thursday 11th September 1975) at the Empire Pool Wembley. 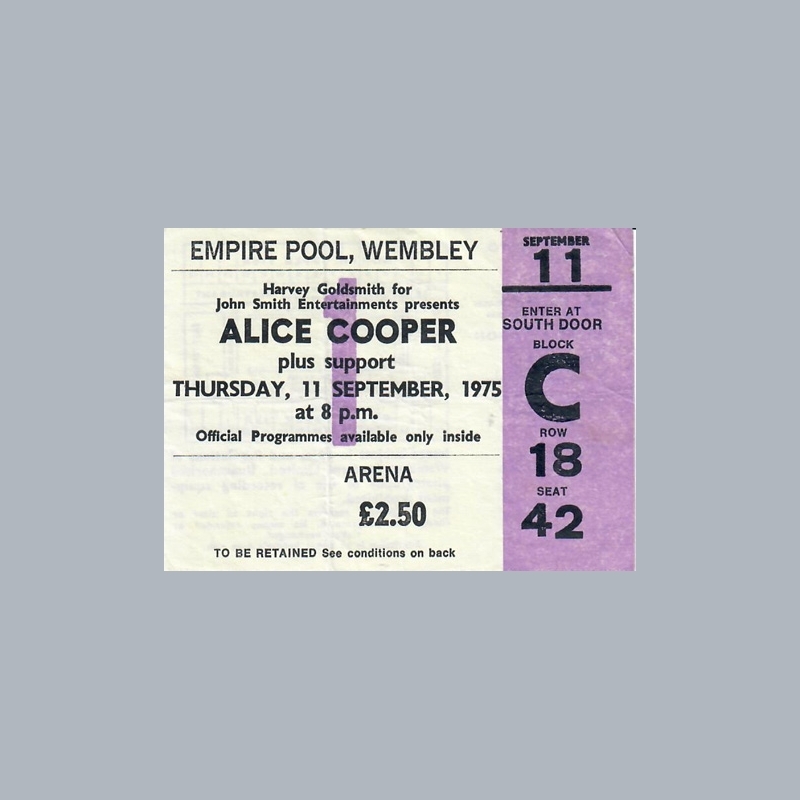 Double mounted for fine display with photographs / original concert ticket and imitation money thrown from the concert stage. 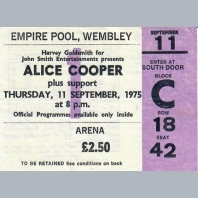 ALICE COOPER. American heavy rock band of the early 1970s known for their extraordinary stage-show featuring guillotines / electric chairs / fake blood / snakes and baby dolls. 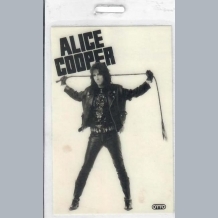 The groups leader Alice Cooper is considered by fans and peers alike to be "The Godfather of Shock Rock". 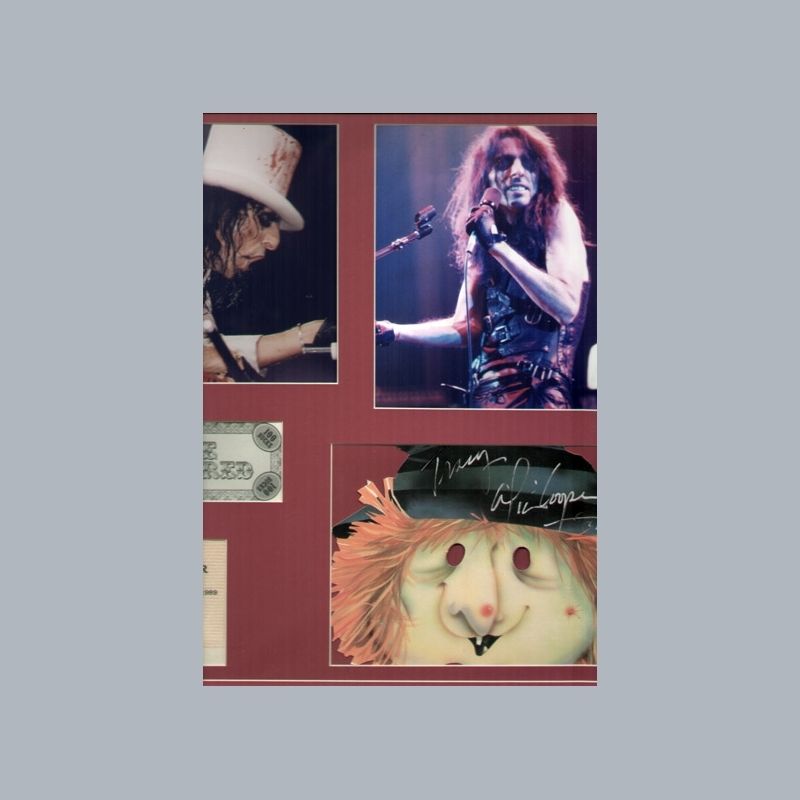 His career has spanned five decades, but he was most commercially successful in the 1970s with UK No1 single Schools Out (1972) and UK & US No1 Album Billion Dollar Babies (1973). 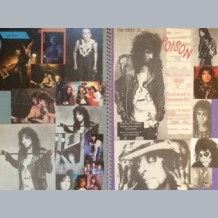 He enjoyed a renaissance during the late 1980s with his LP "Trash" and single "Poison" in 1989. Lead guitarist Glen Buxton died from pneumonia aged just 49 in 1997. 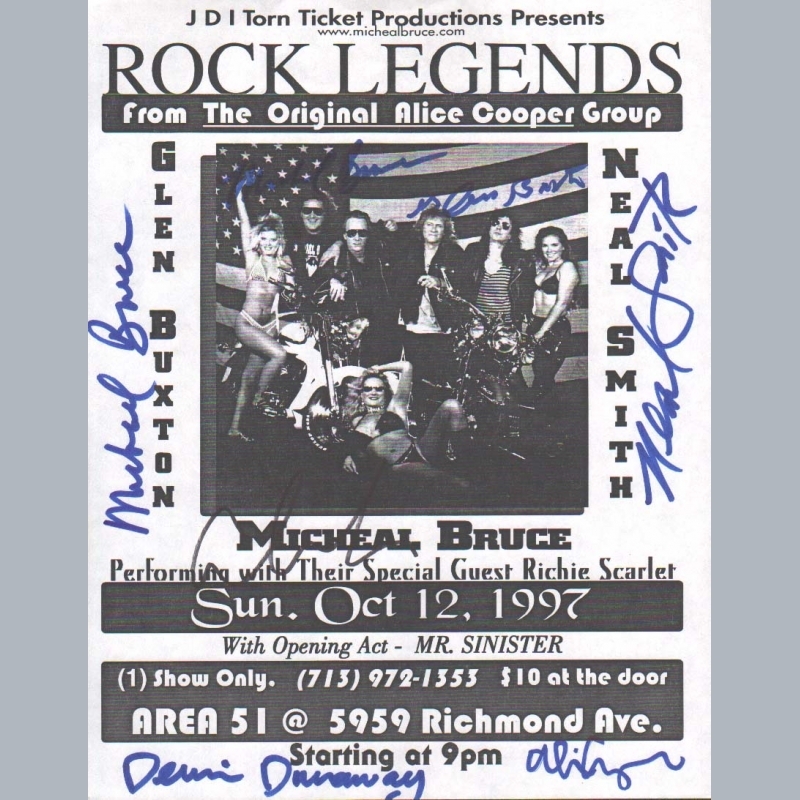 A 1997 Rock Legends handbill, clearly signed in markers by all five original (1968-1972) members of the Alice Cooper Band ; Alice Cooper (vocals) (twice) / Michael Bruce (guitar) (twice) / Dennis Dunaway (bass) / Neal Smith (drums) and Glen Buxton d1997 (lead guitar). 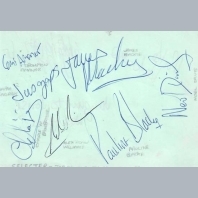 An extremely rare full set of autographs of the original line-up together on a single piece. 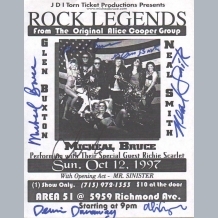 The flyer was signed by Glen Buxton / Michael Bruce and Neal Smith on Sunday October 12th 1997 at The Area-51 Richmond VA. 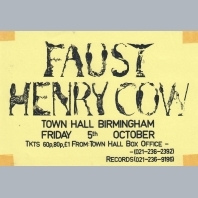 This was the last time the three performed together and was just a week before the untimely death (on October 19th) of lead guitarist Glen Buxton. 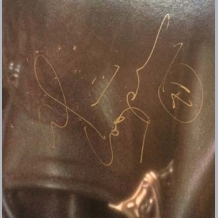 Both Dennis Dunaway and Michael Bruce (for a second time) then signed the flyer on October 27th 2006 at The Chiller Theatre Secaucus NJ. 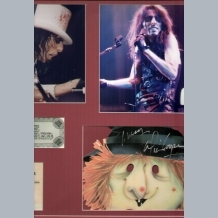 The two Alice Cooper signatures were obtained ; 1) The Dodge Theatre Phoenix AZ on December 16th 2006 (black marker) 2) Celebrity Golf Tournament Scottsdale AZ on May 7th 2007 (blue marker). 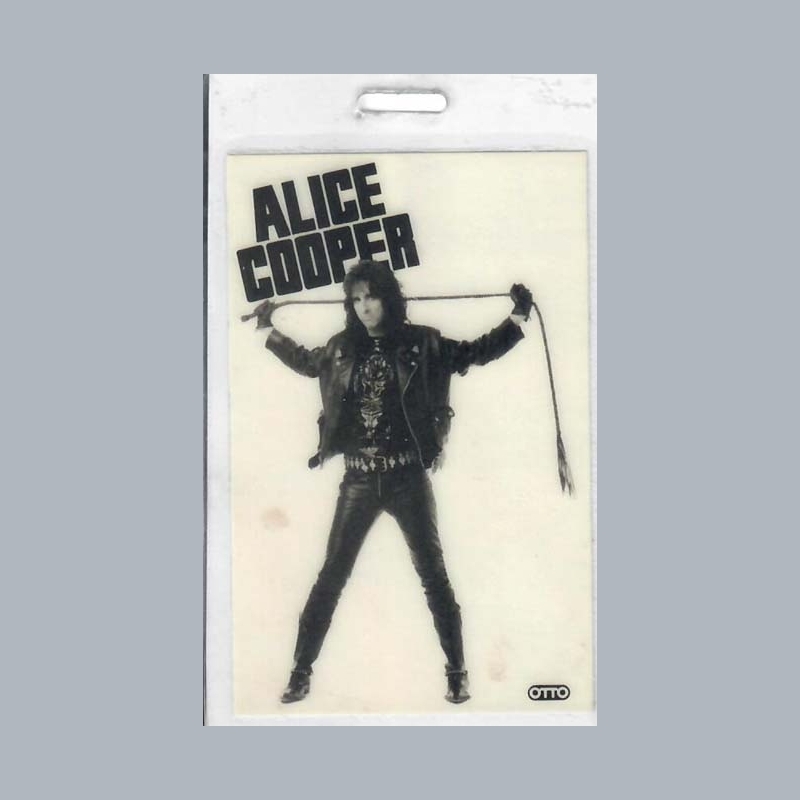 Includes detailed letter of authenticity & history from noted music expert Perry Cox. 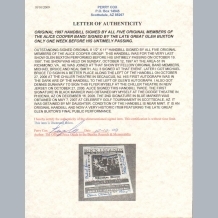 AFTAL Dealer No13 and UACC RD Memorabilia UK COA. Very good. View Images. The flyer is in excellent (we would rate 10/10) condition. 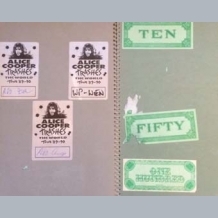 A very good 2005 visitors book page, clearly signed in black sharpie by Alice Cooper.